Featuring scholars from UC Merced and UC Davis, Central Valley Threads acknowledges both the unique and too often under represented study of arts in working class studies and the similarly underrepresented study of arts in the Central Valley by turning to a variety of working class cultures within the fields of fashion, food, music, and literature. Featuring work by: Jan Goggins, Ray Winter, Susan Kaiser, Glenda Drew, Jesse Drew, and Melissa Chandon. Staci Santa is the Executive Director of the Merced Arts Council, whose mission is to inspire and nurture the arts in Merced County. Incorporated in 1978, the Merced County Arts Council was originally operated from a small office space on Main Street. 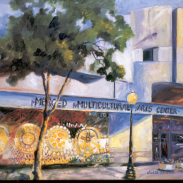 In 1996, the City of Merced entrusted the Arts Council to manage the Merced Multicultural Arts Center. In addition to operating this 28,000 sq. foot, multipurpose arts center, the Arts Council manages an arts-in-education program; an arts facility for adults with developmental disabilities; performances and visual/performing arts classes for children and adults; professional support for artists through fiscal sponsorship; exhibits of about 20 professional artists each year; and newfound coalitions for visual and performing artists. Francisco X. Alarcon, award winning Chicano poet and educator, is author of twelve volumes of poetry, including, From the Other Side of Night: Selected and New Poems (University of Arizona Press 2002), and Snake Poems: An Aztec Invocation (Chronicle Books 1992). 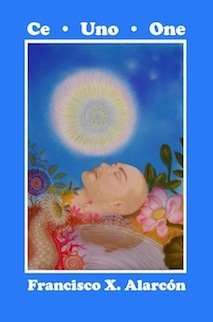 His latest book is Ce-Uno-One: Poems for the New Sun (Swan Scythe Press 2010). His book of bilingual poetry for children, Animal Poems of the Iguazu (Children’s Book Press 2008), was selected as a Notable Book for a Global Society by the International Reading Association. His previous bilingual book titled Poems to Dream Together (Lee & Low Books 2005) was awarded the 2006 Jane Addams Honor Book Award. He has been a finalist nominated for Poet Laureate of California in two occasions. He teaches at the University of California, Davis. Whenever I say ‘Mexico’/I hear my grandma telling me/about the Aztecs and the city they built/on an island in the middle of a lake/’Mexico’ says my grandma/”means: from the bellybutton of the moon”/”don’t forget your origins my son”/maybe that’s why/whenever I now say “Mexico”/I feel like touching my bellybutton. In 1990, Lucha Corpi was twice honored: she was awarded a Creative Arts Fellowship in fiction by the City of Oakland, and she was named poet laureate at Indian University Northwest. The publication of Eulogy for a Brown Angel: A Mystery Novel (Arte Público Press, 1992) was the culmination of a life-long dream. The novel won the PEN Oakland Josephine Miles Award and the Multicultural Publishers Exchange Best Book of Fiction. 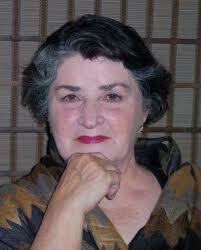 Cactus Blood (Arte Público Press, 1995) is Corpi’s second mystery novel featuring Chicana detective Gloria Damasco. Hispanic culture, the United Farm Workers movement and other social issues texture a suspenseful search for a ritualistic assassin. The publication of Black Widow’s Wardrobe (Arte Público Press, 1999) rounded out the trilogy known as The Gloria Damasco Series.